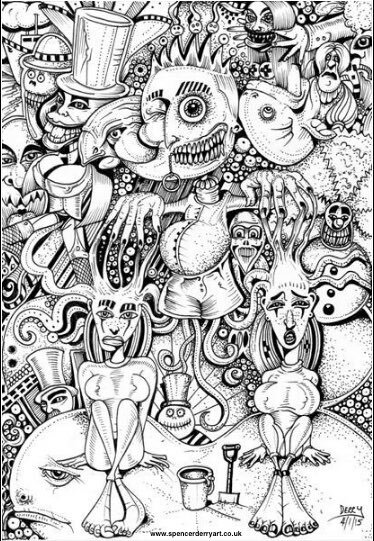 Circus Freaky - Buy Hand drawn, original surreal, comic art drawing. Artwork illustration created by UK artist Spencer J. Derry in January 2015. Media : Felt pen and acrylic on paper. Secure P+P, tracked or signed for. Original artwork with signed Certificate of Authenticity W 8.26" x H 11.69"
Media: felt pen Surface: 200 gsm white paper, note NOT framed.